Pinterest, which CEO Ben Silbermann describes as a tool that helps people find inspiration, is now the third-largest source of referral traffic on the Internet. But growth wasn’t easy for the company, Silbermann told a rapt audience at Y Combinator’s Startup School at Stanford University on Saturday. The way Pinterest grew had little to do with Silicon Valley wisdom. I t was about marketing — mostly grassroots marketing — not better algorithms. Silbermann said he realized the strategy might just be working when he heard people at a meetup having real conversations with each other about their creative projects, rather than the BS that might come from a superficial relationship on Twitter or Facebook. In its earlier days, most investors weren’t willing to buy into Pinterest and its non-technical founders. (These days, that’s no longer the case.) “There are lots of ways for investors to say no to you, and I’m pretty sure I’ve heard every single one,” Silbermann said. Investors did want to offer all sorts of feedback about what Pinterest should change. A few years ago, VCs wanted things to be text-oriented and real-time, while Pinterest is visual and more timeless. Silbermann told the founders and would-be founders at Startup School that they shouldn’t take VC advice and buy into Silicon Valley groupthink, an argument he has made before. “Fundamentally, the future is unwritten. If they knew, they would be done,” Silbermann said. Still, Silbermann added that he himself thought for a while that the secret to Pinterest’s growth woes would be finding some undiscovered Stanford grad student to build a better algorithm. 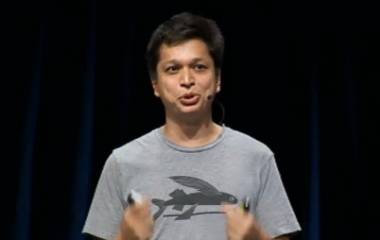 But ultimately, Pinterest didn’t need better engineering, said Silbermann. It needed better distribution. And so if there’s any broadly applicable lesson from Pinterest’s success, he said, it’s that there are many ways to succeed. via Early Pinterest Growth Was Driven By Grassroots Marketing – Liz Gannes – News – AllThingsD. SAN FRANCISCO (Reuters) – Marissa Mayer, who earned a reputation for decisive action and intensity during her 13-year stint at Google Inc, has spent her first months as Yahoo Inc CEO quietly moving the Internet pioneer back to its roots in technology. Long torn between whether it should focus on media content or on tools and technologies, Yahoo under Mayer is being positioned firmly in the latter camp, according to sources inside and outside the company. Her hires, acquisition musings, and other early moves hint at an ambitious, technology-driven comeback plan designed to revitalize aging but well-trafficked properties such as Yahoo Mail, Yahoo Finance and Yahoo Sports. Yahoo has been criticized for allowing these sites to stagnate – they look very much like they did five years ago, and do not have many bells and whistles to encourage users to spend more time on them. via Yahoo Interested In Buying Open Table – Business Insider. Microsoft is launching its new operating system, Windows 8, this week. Windows 8 is a radical departure for anyone who has used Windows in the past two decades. The new interface is designed primarily for touch-screens. And based on some anecdotal responses from those who have tried it–professional reviewers and normal people alike–it’s not exactly love at first sight. SAI’s Matt Rosoff reviewed a preview version of Windows 8 a couple of months ago. He found it "needlessly confusing and hard to use." The AP said the new OS interface "baffles" consumers. The New York Times’s David Gallagher invited 5 people to try Windows 8 and filmed them while they did so. One of the five people seemed to like the look of the design ("Awesome," "This is so cool,"). But figuring out how to actually go about doing things seemed to confuse the hell out of everyone–including the person who liked the design. "I don’t like this design." "I think it’s really confusing." "Some of it feels intuitive once you’ve already done it, but it doesn’t feel automatically intuitive." "It should be easier. I shouldn’t have to think about it." "I felt like the biggest computer user amateur ever. It made me feel stupid." I’ve never used Windows 8, so all I know about it is what I’ve seen in this video and read in a couple of reviews. One thing I can tell you I already hate about it, though, is the apparent need to manipulate it by touching your laptop screen. Yes, I’m quite fond of fondling the screen of my iPhone. And I have no problem touching the screen of an iPad. But I never touch my laptop screen, and I hate it when other people touch my laptop screen. I don’t want to have to remove my hands from my keyboard to touch my laptop screen. And I really don’t want to have to touch a button on the screen to send a new email, which is what David Gallagher of the New York Times told one of the people in the video they had to do. I like my mouse-pad, and I don’t want to have to lift my hand up and touch "buttons" on my screen. I’ve already made the jump to Mac, which was painful–every minute I have to spend learning how to use a new tool is a minute I could have spent actually working–so I’m presumably not the target customer for Windows 8. Watch the video at: Microsoft Has Big Problem With Windows 8 – Business Insider. via: Microsoft Has Big Problem With Windows 8 – Business Insider. Successfactors: 82% VC owned. Sale Price: $3.4b. Non-VC Value: $612m est. at time of acquisition by SAP. LinkedIn: 40% VC owned. Mkt Cap: $11.6b. Non-VC Value: $6.9b at 10.17.12. Ok so what can we learn from this? #1. Going Big Isn’t Just About Valuations. It’s Very Dilutive. Yes, when you go big, you basically forsake many M&A opportunities and other outcomes. That we all get. But you are also setting yourself on a path to large dilution. We all know this intuitively, but we can see the data above and below. It works out just fine when the stars align (e.g., Splunk, Successfactors). But some of the others, it’s more painful when the IPO valuations are sub $1b or +=$1b. Relatively speaking, there isn’t much left for the non-VCs at Responsys and Eloqua. #2. Bringing in an Outside CEO Can be Very Expensive. Bear in mind, if you bring in an outside CEO to run your SaaS Company, their equity stake, and the additional capital they’ll raise, and all the rest, can be very expensive. If it leads to selling 70-80% of your company, plus the 10% the outside CEO + new management team will take … the founders and other employees may be left with very little. #3. Old School IPOs May Not Be So Bad. While the Jive IPO may not be a huge success yet, for them at least, it looks like to have been a pretty cost-effective way to raise the next round. Basically, they skipped another round and went IPO (while smaller) instead. #4. There’s More Than One Way to Skin a Cat. The companies with only 50% dilution in the list above are smaller. But it’s not clear in all cases that’s a worse outcome for the common stockholders. It seems like the non-VCs in Cornerstone OnDemand did about as well as Splunk (different space, yes, took much longer yes, ignoring that). Selling big but doing great but not quite going big … clearly is the worst outcome. #5. It’s Not The Price of Any One Round That Matters So Much. It’s The Number of Rounds. The companies with less dilution simply took less rounds of financing. Until you in the billion dollar+ club, that matters more than price per share. #6. Having a Freemium Component Can Help. One way to look at LinkedIn is as a SaaS play with a Freemium kicker, if you look at their 3+ revenue streams. The net effect is to have at least one revenue stream with a much lower cost of customer acquisition, deferring capital needs, leading to less dilution. We saw this at EchoSign. via The Pernicious Effect of Dilution in SaaS: The Cold, Hard, Bloody numbers.